Commentary on U.S. and international events. I was caught completely off guard, and moved to tears. I’m not one who is prone to crying (I didn’t even cry when I saw Finding Dory, nor during the first 20 minutes of Up), but my eyes welled up while listening to Khizr Khan on the last night of the Democratic National Convention. Judging by what I’ve seen on TV and twitter, everyone was moved by the raw emotions expressed by a Gold Star parent (except perhaps Mr. Trump). His cry to be recognized as a patriotic American family in light of the hateful rhetoric against those who happen to be Muslims. With his wife, Ghazala Khan, at his side, her pain clear as daylight without having to say a word, Mr. Khan reminded us that Muslims are not just refugees, terrorists, or despots, but Americans, patriots, and yes, even veterans and their families who have made the ultimate sacrifices for their country (I refer to America of course). Muslims make up about 1–2% of the American population. Even though 10% of doctors are Muslim, most Americans have never met a Muslim, let alone have any friends that are Muslim. As a result, it’s hard to fight against the bigotry and prejudices that are growing against Muslims. It certainly doesn’t help that no one listens to us either. How often have people said, “Why don’t Muslims come out and condemn these acts of terrorism?” We do. It’s just that no bothers to listen. The right to free speech does not come with the right to be heard. It wasn’t just Mr. Khan’s speech about the sacrifice his son, and by extension his family, made in service to this country. I realized, that for the first time, an American-Muslim family was speaking about their patriotism, at a forum where they could not be ignored by the media. Everyday, through my example, I try to show everyone I meet that even though I’m a Muslim, I’m still an American. One who was born here, and shares the same values as my fellow Americans. Yet, it feels like I’m hardly making a dent. In one fell swoop, Khizr and Ghazala Khan made more than just a dent. They have shown the entire country that American-Muslims have made the same kinds of sacrifices as other Gold Star families, and that they are affected by these sacrifices just as deeply. They gave a gift to American-Muslims as well. They gave us a voice heard by all. Somehow, Donald Trump is still has a good chance of becoming President, despite his callous and juvenile reaction to Mr. Khan’s speech. Including attacking Mrs. Khan, who has made clear in subsequent interviews that the pain of losing her son is just as sharp as it was 12 years ago. Instead of just acknowledging the sacrifice made by Cpt. Humayun Khan, and moving on, Mr. Trump just couldn’t help himself. He lashed out, and tried to compare his business record to the sacrifice made by the Khans, and by extension every other military family who lost loved ones defending this country. Speaker Ryan, and Majority Leader McConnell came out with statements against what Mr. Trump said, but still refuse to reject him. 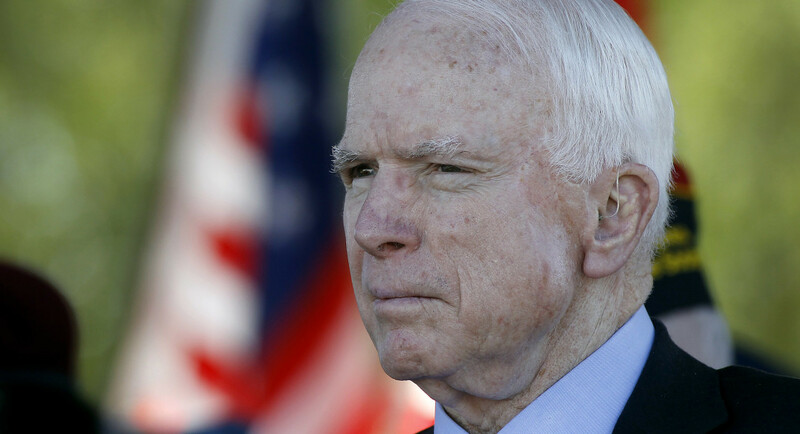 And it’s about time that Senator John McCain denounced Trump. Took him long enough. Far longer than it should have. I actually don’t even understand why Governor Pence, who has a son in the Marine Corps., is still Trump’s running mate. Doesn’t it make him sick that Mr. Trump doesn’t respect veterans, alive nor fallen? That’s only half of the things I’m worried about. The other half is Mr. and Mrs. Khan. Since the DNC speech, in interview after interview, their pain is still palpable. You can see it on their faces, and in their voices. Which is why I’m worried that there will be a misstep. Donald Trump has been attacking them personally, hence Mr. Khan’s words about how Mr. Trump lacks empathy and has a “black soul.” This reaction is completely understandable, but I’m worried that his emotions will overtake him, and all of the understanding his has created for American-Muslims will go out the window. 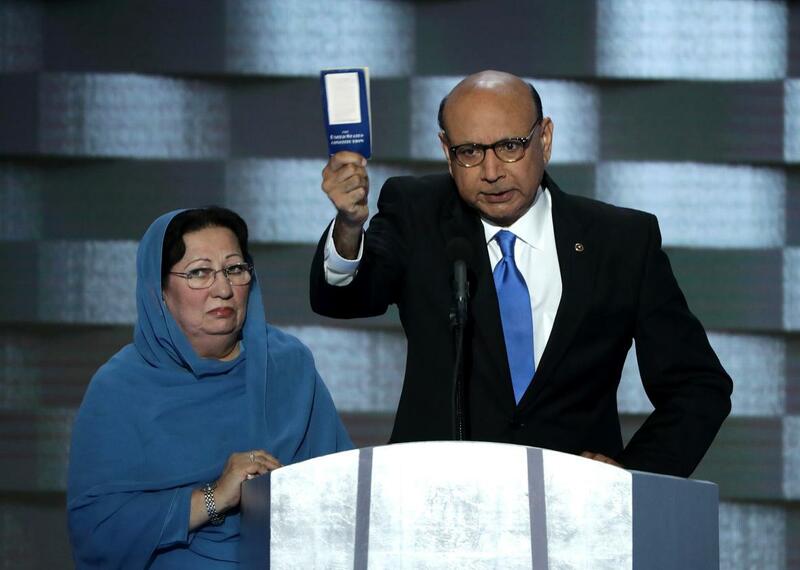 Mr. and Mrs. Khan, all of America has felt your pain. American-Muslims are grateful to you for helping the rest of America understand who we really are. Of course, this wouldn’t have happened without the DNC giving you this opportunity to speak. Please remember though, that everything you have done can be undone. Please, be careful. For all of us.